With over 350 locations worldwide, Robert Half has become the largest specialized recruiting service around the globe. 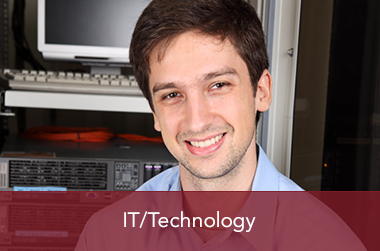 Our technology division, Robert Half Technology, specializes in recruiting highly skilled professionals across a range of IT disciplines, from software developers to CTOs. Our job candidates make us who we are. If you are driven by honesty, integrity and professionalism, then we want to hear from you. Join the Robert Half Technology Talent Network today to be the first to know about our IT - Technology jobs!